Track your agent’s calls and improve customer care. Keep track of your client and employees conversations. 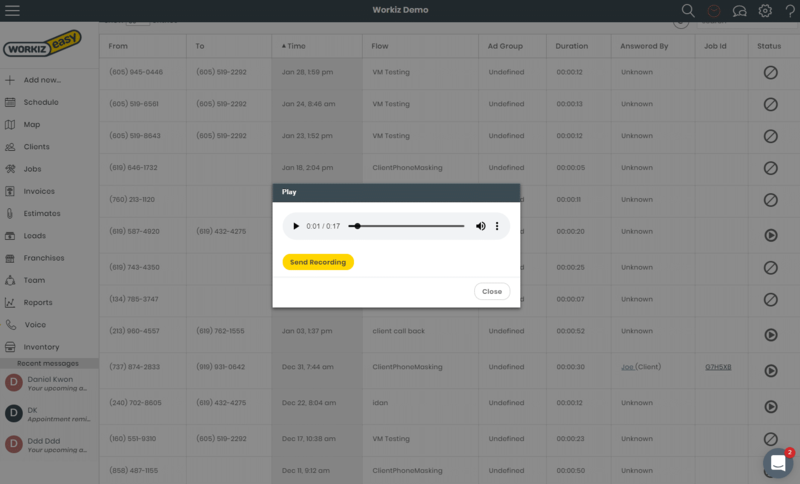 In Workiz, you can play the recording from your computer, mobile and tablet devices. Want to know why your employees aren’t closing sales? Give them tips to improve their ability to close sales, and have your business thrive with this powerful feature. Don’t give away your real phone number! 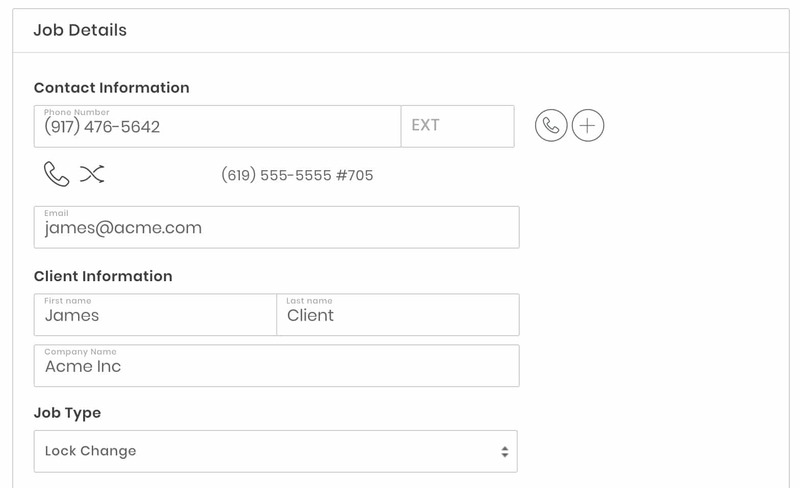 With the phone masking feature, you can easily create your own call-flow in seconds with Workiz’s call flow builder. Assign a custom number in just seconds to go to whomever you choose, so you can save time by navigating callers to the right agent. No need for any servers or PBX in your office, it’s all cloud based and simple to set up.